1. First, identity and access management ensures that legitimate parties have the right access to the right resources at the right time while keeping illegitimate parties out of systems. This is probably the most important role of identity and access management in information security. Various parties which may include employees, contractors, vendors, customers, and even devices need access to systems and as such require the establishment of their identities and access provisioning during the on-boarding process. Subsequent processes are needed to remove access as soon as the relationship is terminated and monitor activities to detect hacking attempts or unauthorized activities. 2. Second, parties who have been granted system access pose the greatest risk because they are often the identity theft targets of hackers who need their access privileges to gain access to systems. Regardless of access management mechanism deployed, the easiest way for hackers to gain access to a system is to steal an existing access. One of the methods for stealing an existing access and gaining unauthorized access to systems is phishing emails which is the root cause of the majority of hacking and data breach incidents. This means that regardless of our information security investments and high tech security systems, access can be compromised if existing access is not protected and often parties with existing access pose the greatest risk and this is why identity and access management matters in cyber security. 3. Third, parties with access to systems and resources make judgment errors when confronted with phishing attacks and other hacking methods by giving away their sensitive access information to hackers. This is often due to the lack of education and training for teaching the parties about the importance of keeping access information confidential and the techniques for detecting and mitigating hacker attempts to steal their information. 4. Fourth, parties with access to systems and authorization to perform tasks are often the ones that are well positioned to commit fraud and cover their tracks to avoid or delay detection. Corrupt insider risks are real and this is another area where identity and access management solutions can be leveraged to monitor user activities and detect unusual transactions based on predetermined criteria. 5. And lastly, identity and access management matters because as regulatory requirements expand for customer identification, suspicious activity detection and reporting, and identity theft prevention, identity and access management solutions are needed to validate, track, and report on identities for compliance purposes. From a regulatory compliance standpoint, IAM services help companies manage various requirements such as Know Your Customer (KYC) and related Customer Identification Program (CIP), transaction monitoring for Suspicious Activity Reporting (SAR), and Red Flags Rule for identity fraud prevention. As you can see, identity and Access Management (IAM) is extremely complex and critical in managing information security risks. Although technology is an important part of identity and access management, effective IAM also requires processes and people for on-boarding users, granting and removing access, and keeping unauthorized users out of systems. Once an IAM strategy is established, technology can be deployed to automate the identity management lifecycle and reduce errors which often exist in manual processes. In conclusion, identity and access management risks continue to evolve worldwide as new threats and solutions are introduced, and laws are implemented. Specifically, cyber crime, identity theft, and related fraud are on the rise and various governments are scrambling to address privacy of consumers and manage risks through regulations. As companies become more aware of the urgent need for managing identity and access management risks, deploying systems, designing processes, and employing skilled staff also become apparent and are brought to the forefront for managing risks. IAM is a risk-based function that can help an organization achieve competitive advantage through state of the art technology such as biometric authentication to lower operating costs, increase efficiency, and reduce the risk of security breaches. 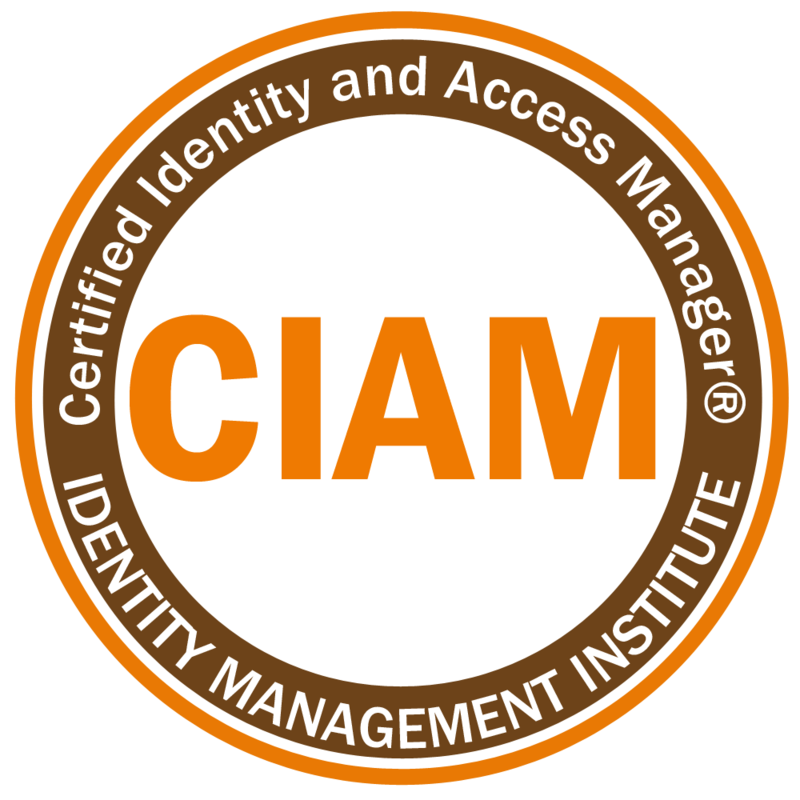 Identity Management Institute is the global organization which provides the leading identity and access management training and professional certifications including the Certified Identity and Access Manager (CIAM) and Certified Access Management Specialist (CAMS) designations. Visit Identity Management Institute to learn more about why identity and access management matters.